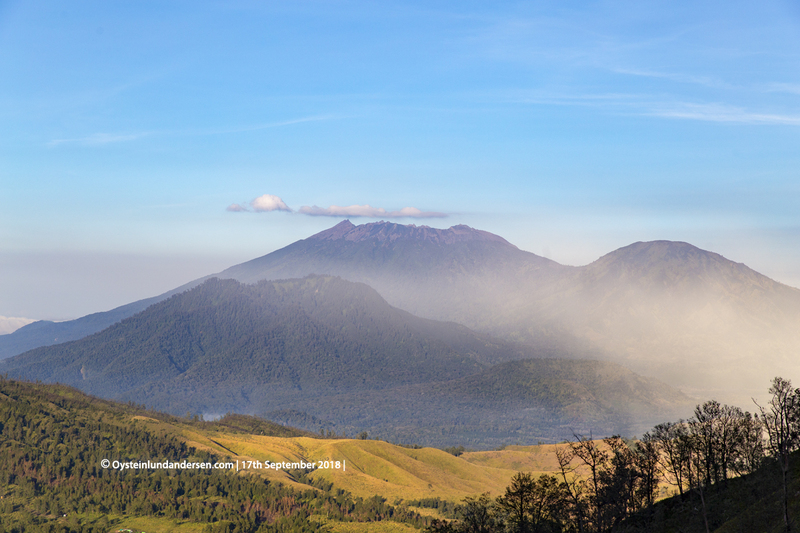 Raung seen in the background. 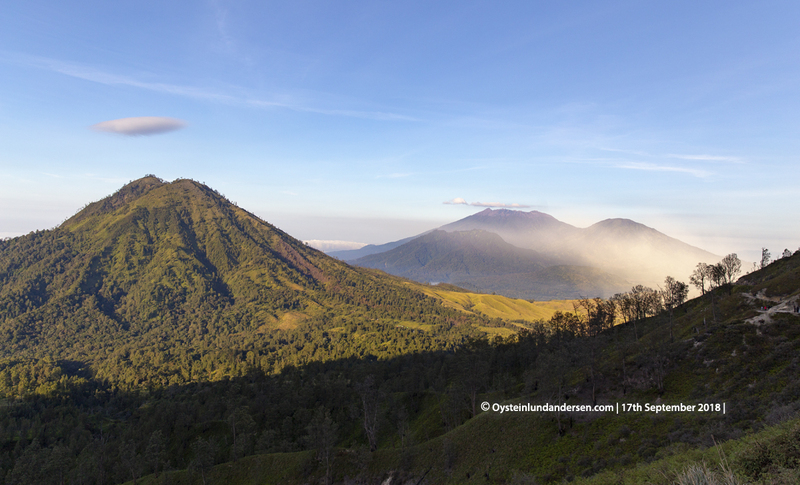 Photo from the Ijen volcano plateau, around 19km distance from Raung. 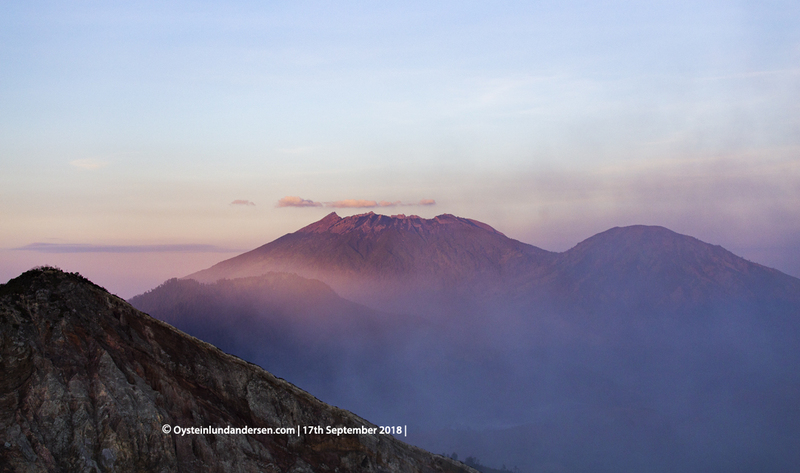 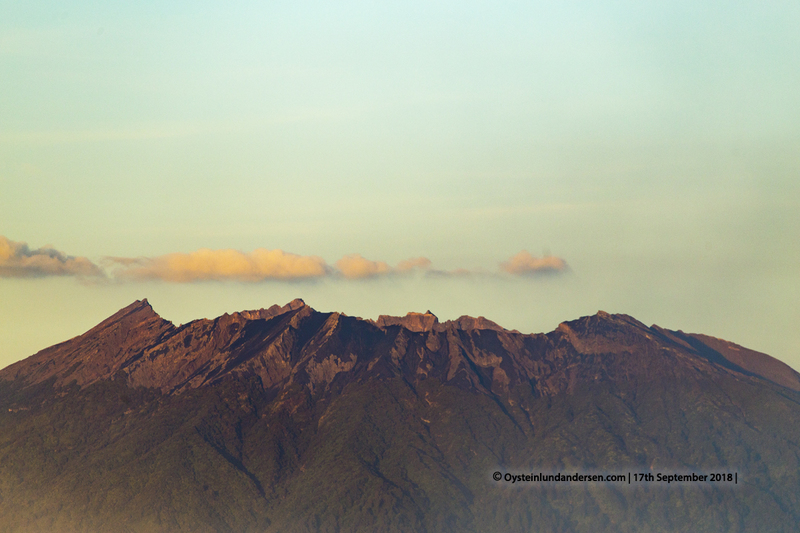 Raung seen from the summit area of Ijen, you can see the edge of the Western crater wall of Ijen on the photo.